Your search is over! 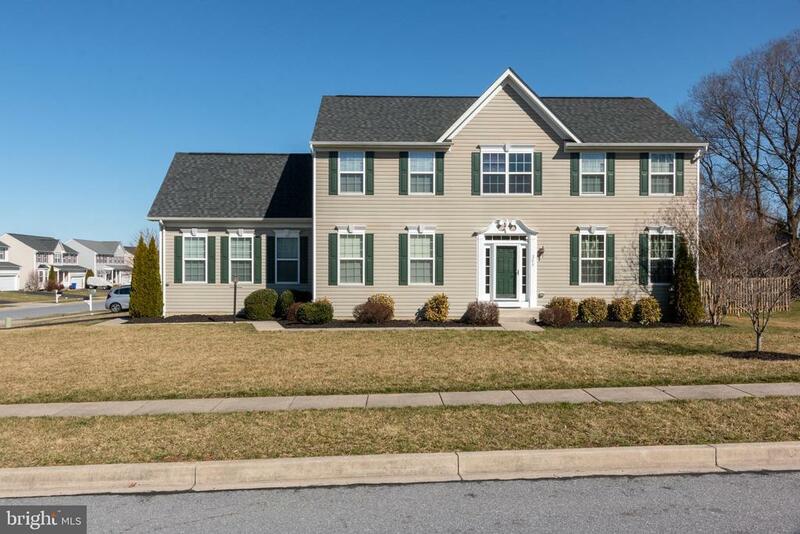 This one-of-a-kind 4 bed, 2.5 bath corner lot gem is ready to become your home sweet home! With its open floor plan and 3, 900+ total SF this home has so much to offer! The gorgeous gourmet kitchen boasts of granite counter tops, updated black stainless steel appliances, an island, and table space. The large family room is just off the kitchen and offers lots of room and a cozy slate fireplace. The main floor also features a gorgeous foyer entryway, a formal living room, a formal dining room, a laundry room, and beautiful hardwood floors throughout. The second level offers 4 large bedrooms, including the master suite which features a huge walk-in closet, full bathroom with dual sinks, separate shower, and a soaking tub. The large, full basement is unfinished and awaiting your final touches! Use the walkout stairs to visit the beautiful side yard! Other features include an over-sized 2 car garage, lots of natural light, and plenty of storage. There is an approved deck that can be placed on the back that leads to a large open side yard. Close by parks for wonderful outdoor enjoyment. Located just minutes from restaurants, shopping, and commuter routes. You dont want to miss this!